The main attraction of the AVANTE-PREMIERE collection are the eight new hydrating ROUGE COCO SHINES. 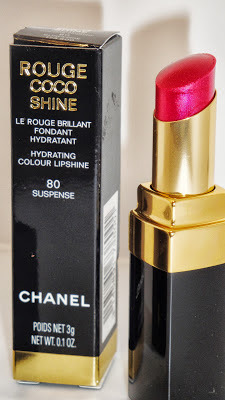 The formula is supposed to be more pigmented than Chanel's original ROGUE COCO Shines, which these definitely are. These new reformulated lipsticks will become part of the permanent collection as well. I purchased 80 Suspense which is a shimmering bright fuschia with a slight sparkle. 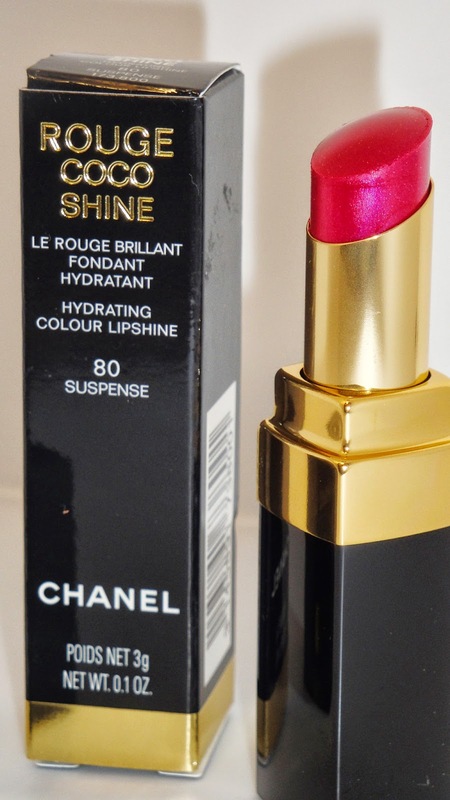 It doesn't feel waxy or heavy on the lips and it's very lightweight and extremely pigmented. I mean MAJOR pigmentation! The biggest selling point for me, well two selling points, was the insane pigmentation and the lightweight feel of the product on my lips. I can definitely see these, the newer reformulated versions, becoming the "Must Have" lip product of 2013. They are that good! Now the differences between the original and these newer reformulated versions are subtle but they are there. The reformulated versions seemed creamier and more long lasting. Also, the color with these stays put on the lips a lot longer and doesn't fade as fast. However, there is a slight staining of the lips and a slight settling into the lip lines as well but it isn't anything that would keep me from repurchasing them again. The original versions are more sheer and tend to maintain their glossiness a lot longer but the color is not as long lasting and typically fade after two to three hours wear time. Both versions are available at most major department stores, online at Chanel.com and at Chanel boutiques. If you want to read about the rest of the collection check it out here: AVANT-PREMIERE CHANEL COLLECTION.